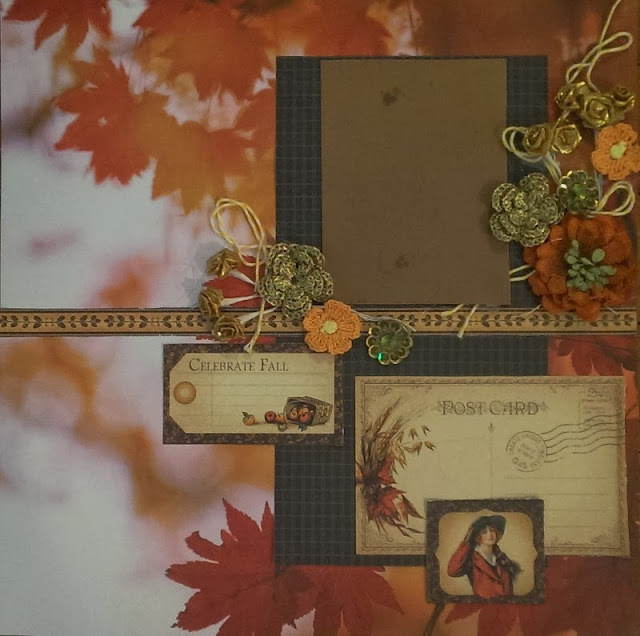 This is my entry for this months Berry71Bleu challenge - Autumn colours mood board shown above. I dont usually make layouts without a photo in mind but my friend and I decided to do a couple of challenges together and I dont have any printed photos to match the theme! Im sure Ill find some soon though... I had several great items to use for the challenge including DCWV's photoreal seasons stack, Graphic 45 Place in time papers and Inkido flowers. Love the gold with the fall colors! Well done! Thank you for sharing with us at berry71bleu. Cute page, I hope you wll find a geat photo too, thank you for joining Berry 71 Bleu challenge! 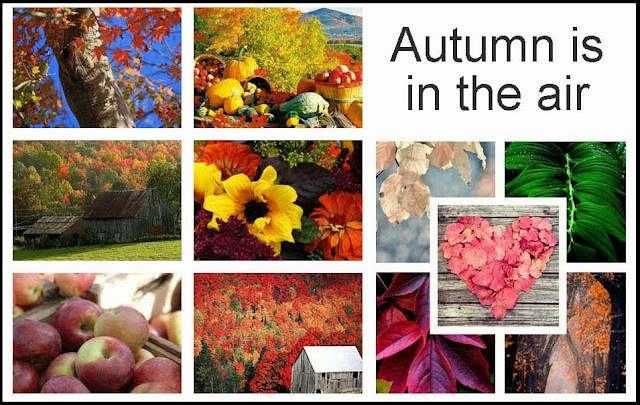 You definitely captured that Autumn mood for this page! I really like the leaves in the background & how you played off the colors from the mood board provided. Great take on the challenge. Thank you for joining us at Berry71Bleu! Great autumn page! Thanks for joining us at Berry71bleu! Stunning page! I LOVE the background paper and the gold accents. Thanks for joining the challenge at Berry71Bleu!